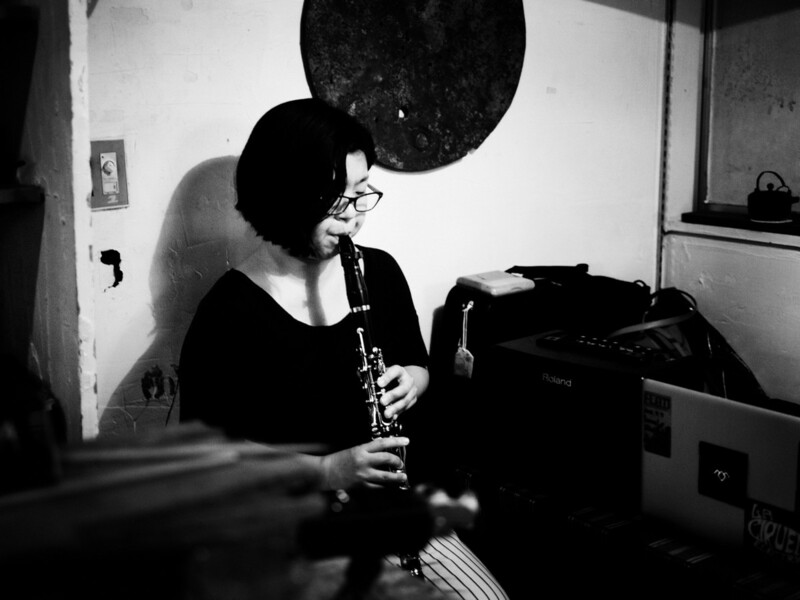 Michiko Ogawa is a musician specializing in using clarinet and shō, born and raised in Tokyo, Japan. She performs not only classical repertoire but also contemporary and experimental musics, including free improvisation. She has appeared at the Tokyo Experimental Festival (2013), Darmstadt summer music festival (2014, 2016), Supersense Festival of Ecstatic Music (Melbourne, Australia 2015), the Monday Evening Concert series (Los Angeles, 2016), WasteLAnd (Los Angels, 2016), Inland (Melbourne, 2015, 2016), BIFEM (Bendigo, Australia 2016, 2017) , Kontraklang (Berlin), Maerzmusik 2018 (Berlin), Brisbane international film festival 2018 (Brisbane) and performed with the Tokyo Symphony Orchestra (2009). She has worked with composers including Toshi Ichiyanagi, Helmut Lachenmann, Richard Barrett, Hunjoo Jung , Cat Lamb and Chikako Morishita, and with performers including Charles Curtis, Anthony Burr, Erik Carlson, Greg Stuart, Taku Sugimoto, Vicki Ray, Erika Duke-Kirkpatrick, Shalini Vijayan among others. She also has been collaborating with Samuel Dunscombe, Taku Sugimoto, James Rushford, Carolyn Chen, Manuel Lima. , Brianna Rigg, Angela Jennings, Sabina Maselli and Lyndsay Bloom. Currently, Michiko is a doctoral candidate (DMA) at the University of California (San Diego), under Prof. Anthony Burr with dissertation focusing on Teiji Ito and his music. She was awarded her bachelors degree at Toho Gakuen University, under prof. Yoshiaki Suzuki, and a masters degree at the Hochschule für Musik in Freiburg, under Prof.Jorg Widmann. Michiko was awarded second place in the Carl-Seemann Preis (2007), and performed as a representative of the Hochschule für Musik Freiburg at the 55th German Music University Competition in the same year. She worked as an associate-in for teaching clarinet at the University of California (San Diego) from 2005 to 2007. Teiji Ito: Music For Film is performed by Ogawa and her long-term collaborator Samuel Dunscombe, a performer-composer who works in a diverse range of areas, from field recording to Romanian spectral music. They will be accompanied by Nat Grant, Kaylie Melville, Sam Pankhurst, James Rushford and Kim Tan. Film prints from the National Film and Sound Archive, Canberra.